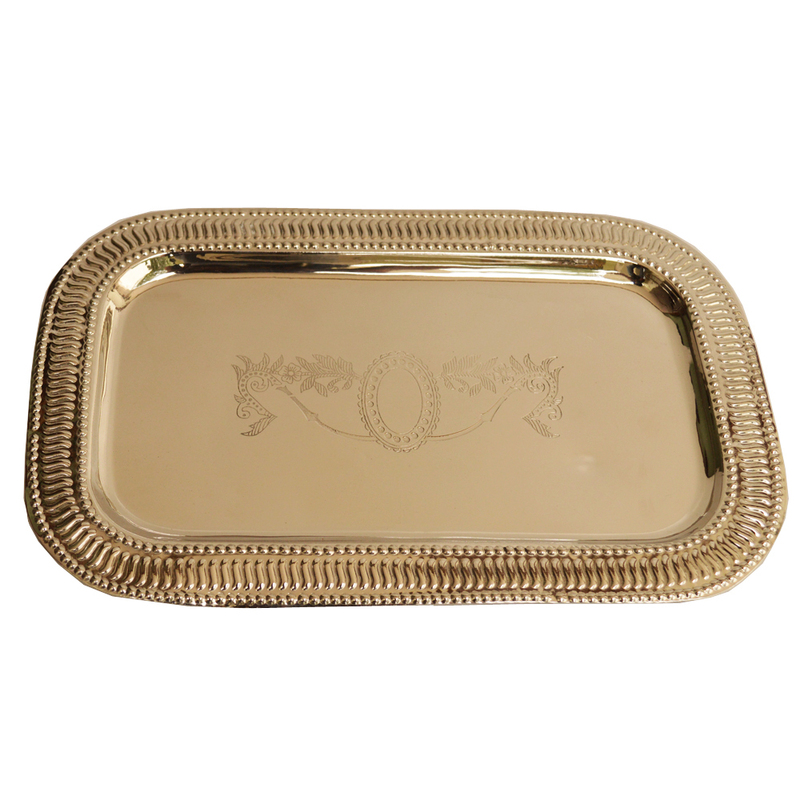 This Designer German Silver Serving Tray is the ideal choice for serving food and drink in a highly aesthetically pleasing manner. The intricate design work Read More..present along the edges of this piece, along with the delicate patterns present in its body, makes it a must-have for connoisseurs of such fine design work. This serving tray is sure to enhance the appetite of guests with its refined aesthetics, while the quality of material use and finish makes it a reliable choice for long-term use. Show Less..